Experience an immersive new dimension of surround sound with Dolby Atmos. Cinema-inspired sound from every angle. Even from above. Sound bar designed to deliver crystal clear dialogue. Wireless subwoofer delivering room-shaking bass. 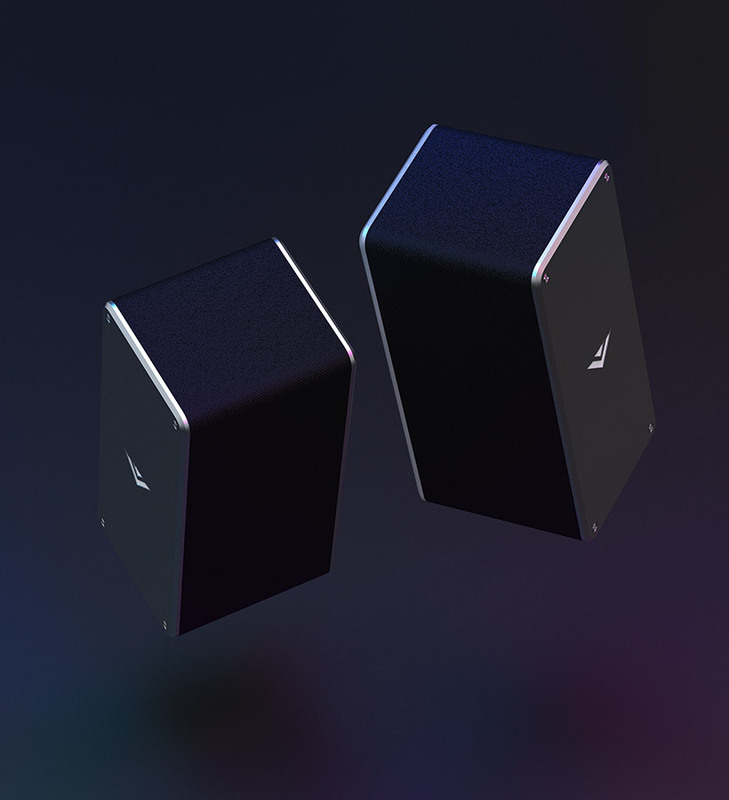 Stream wirelessly via Chromecast or Bluetooth. Feel Every Dimension. Full 360° Sound. The VIZIO Home Theater Sound System elevates your entertainment to new heights to feel every dimension. 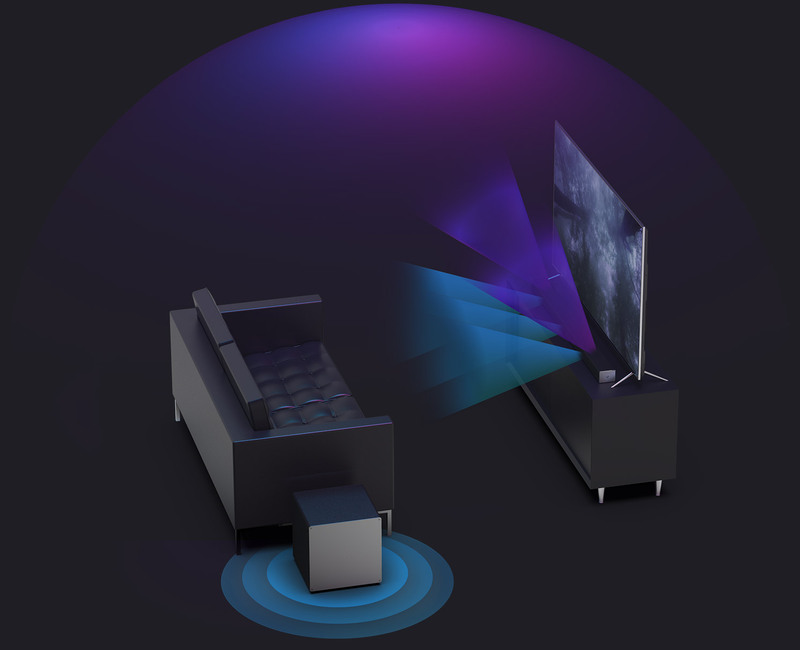 Upward-firing speakers deliver multi-dimensional sound that moves above and around you. 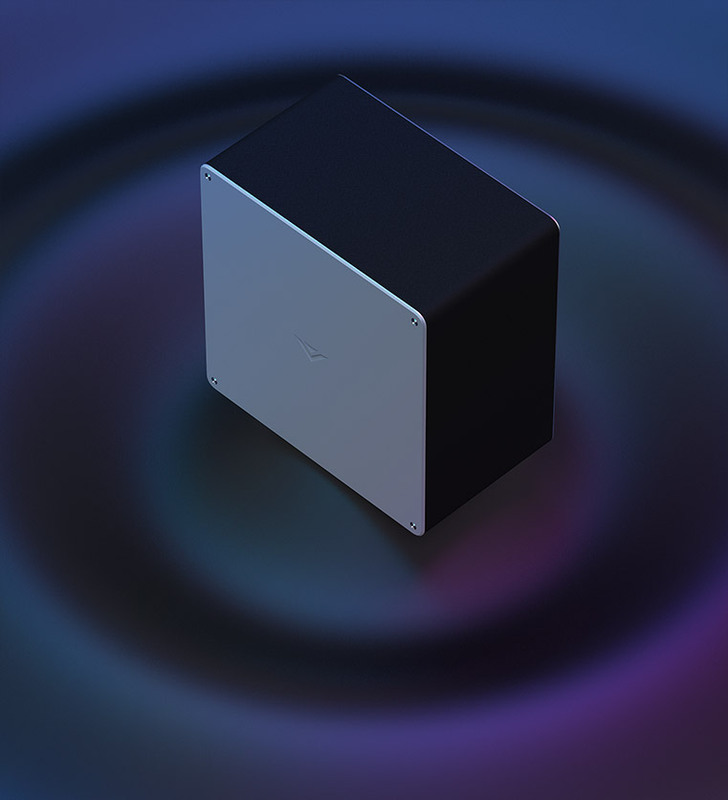 Wireless subwoofer designed for a new level of deep. 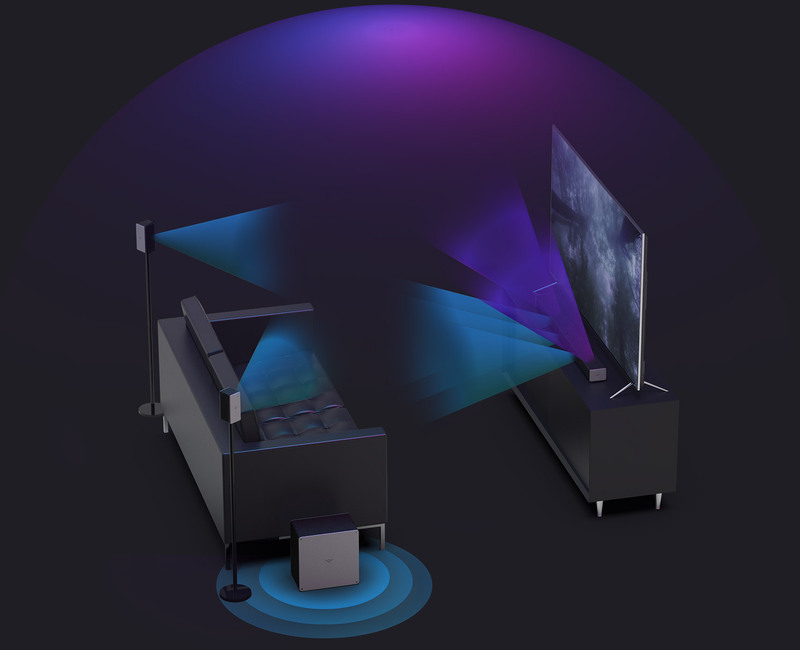 Multi‑dimensional surround sound from upward and front firing speakers. Sound design is a crucial aspect of filmmaking. Your favorite movies and TV shows are now being formatted in Dolby Atmos® for streaming and Blu-ray. Google Assistant device sold separately. Now that I’ve experienced Dolby Atmos in my home, I’m hooked. Sound Bar Weight5.60 Lbs. / 2.54 Kg. Satellite Weight0.88 Lbs. / 0.40 Kg. Subwoofer Weight10.20 Lbs. / 4.63 Kg. Product Packaging Weight22.53 Lbs. / 10.22 Kg.